Stunning single level w/ detached guest house, large patios w/ waterfall & pool for entertaining. 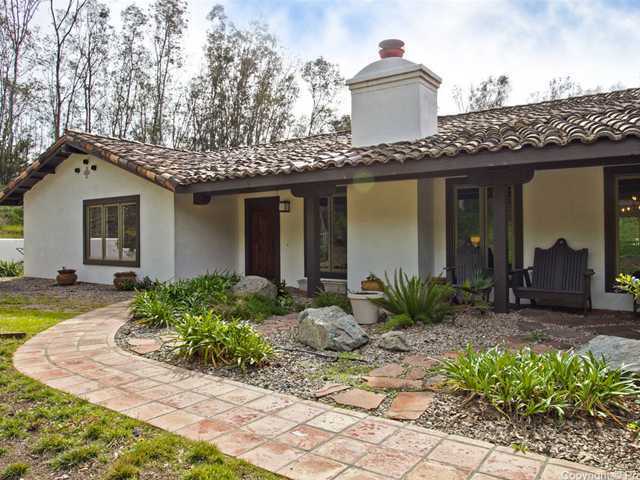 Horse facilities in Saratoga Estates w/ direct access to 5 mi. of dedicated equestrian trails. Features include tile & wood flooring, vaulted ceilings, stain glass, cozy living & family rooms each w/ fireplaces, large bedrooms, gourmet kitchen. Has 4 stall barn w/ room for arena & pasture. Square footage of home includes appx. 490 Sq. Ft. detached guest house.